Hello all. My main reason for compiling this mid-year Newsletter was to keep RHRS members informed about the important news items concerning our rail heritage organisation, particularly as we enter the colder months of the year when we will minimise the number of management committee meetings. There is much happening behind the scenes in RHRS, some of it good news and some of it less-welcome news, which we have to accept and manage as best we can. This newsletter is largely worded as I see the news, but there are also contributions from others in our executive management committee. It is disappointing to report that we had to inform station administrator ARTC that the weather in Robertson is now too cold to successfully paint the heritage-listed station buildings - as promised by ARTC some time ago - until later this year when it is warmer. Despite a great deal of time and work put in by Neil Harvey to obtain several quotes for the painting and to deliver these to ARTC, we have not received approval to proceed. Frequent subsequent follow-up discussions have not achieved any success either. This is a very disappointing result especially since we were given reason to be very confident of having our heritage buildings painted this year. On reflection the same thing happened last year so it seems our optimism has been unfounded despite the assurances we received including an encouraging site visit earlier this year by ARTC representatives. Nonetheless, we will continue to push for the painting to proceed since our heritage-listed buildings are something of an eyesore, presenting poorly with obvious patchy concrete repair work and peeling paint. These are most unattractive to our many heritage train passengers and local residents who pass by our station regularly. Also, the timber and concrete is further exposed to the elements and to further deterioration. We may need to again politely remind ARTC of its statutory responsibility to properly maintain our National Trust heritage-listed buildings. Other than this, there is not much more we as a tenant can do to improve this situation as ARTC needs to provide the funding for the required painting work in a timely fashion. Other necessary maintenance work has been undertaken as required by RHRS. We are very appreciative of the work done by Neil and Ron Middleton in this regard. On a happier note, I can report that our station grounds and gardens have received valued work by our own volunteers as well as much-appreciated support and donations from Robertson Garden Club volunteers and Corrective Services detainees, the latter well led by supervisor Lindsay Fowler. Much has been achieved in weeding, clearing unwanted vegetation, pruning and removal of wind-damaged branches, as well as the routine mowing of grass on the common, now entering its winter dormancy. Corrective Services are seeking a continuation of work for the detainees during the cold months when the grass requires minimal attention. A range of tasks which will be helpful to RHRS has been discussed and will be implemented as opportunity permits between May and September. I have purchased several semi-advanced native shrubs at a good price to replace plants lost through drought and wind damage over recent years. These will be planted gradually over the next few weeks. It is with sadness and regret that we record the recent passing of former rail-modelling colleague Ian Maclean, whose funeral in Cowra was attended by Neil Harvey and Ron Middleton. Ian’s rail modelling skills were excellent and his dry sense of humour was very much appreciated. We will miss him. He was 87 years old. Mothers’ Day, 13 May 2018. Train passengers wait to board the return trip of “The Highlander” hauled by hired locomotive GL112 as it slows to a stand at Robertson station. 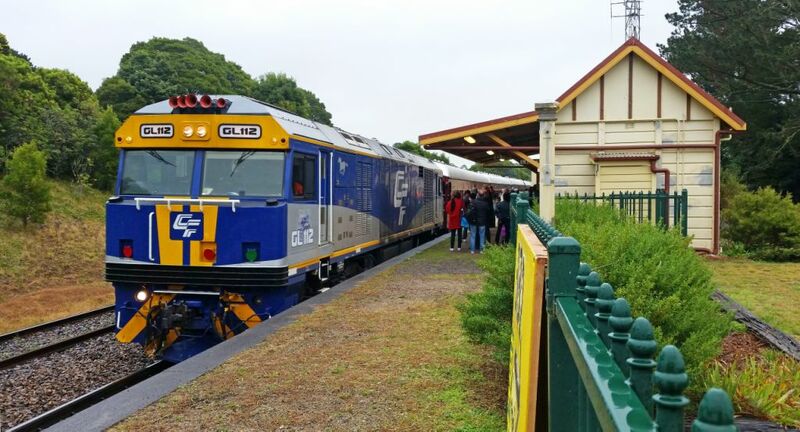 On Sunday, 13 May, Mothers’ Day, Transport Heritage NSW ran ‘The Highlander’ heritage tourist train to Robertson and Moss Vale via Wollongong, and returned via the same route. 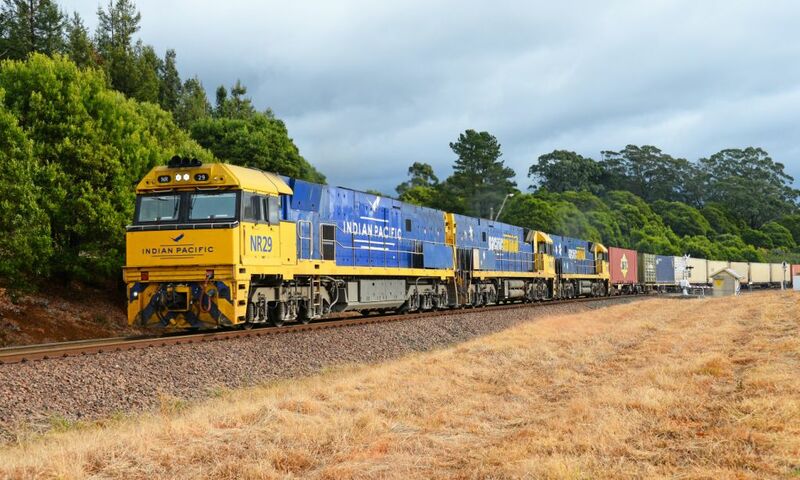 Disappointingly, the six-car train was once again hauled by diesel-electric loco GL112 (on hire from CFCLA to THNSW). This was in lieu of the advertised 4201, which is reportedly not trafficable due to engine damage. Although not fully booked, there were around 200 passengers on the train, of which more than half detrained at Robertson on a less-than-ideal cool and drizzly Robertson day. Apparently, only 24 passengers detrained at Ranelagh platform to partake of a ‘high-tea’ at the Hotel Robertson. THNSW is hoping to attract a larger number of passengers to this high-tea arrangement, where passengers travel in the special tourist lounge car for a higher fare. While passengers were encouraged by THNSW to book any lunch required at Robertson, it is not known how successful this was. It is known that there were about 70 bookings at the Bowling Club and a further 100 or so at the pub. Not knowing whether passengers would book, we bought 70 sausages and accompanying bread and operated a station BBQ. We sold much less than this so Anne has frozen what was not sold for future use. Anne reckons we would have covered costs but exact figures are not available yet. As far as continued heritage train visits are concerned, our only knowledge is that we have been promised four visits by THNSW, with variations on a theme of visiting Robertson - one each season or thereabouts. We have had two such visits so far in 2018 and, hopefully, we can expect at least two more this year. The small number of other heritage train operators in NSW has so far been unable or unwilling to visit us at Robertson. This is perhaps something we can work on, assuming that we want to seek further visits! We would love a steam-train visit in the future, ideally coinciding with our special events in autumn and spring - and this will be conveyed to THNSW. While some rail heritage organisations in Australia are doing well, several such organisations in NSW are, at best, struggling to survive. This is due in some cases to poor governance, a lack of leadership and both the ageing of active members and the difficulty of attracting active volunteers. The demise or misfortune of the ARHS Canberra group, Zig Zag Railway, 3801 Limited and other organisations is unfortunate and can have a ‘flow-on’ effect to other groups which may be struggling. Some would say that governmental assistance (or interference) in NSW is clearly helping to keep Transport Heritage NSW afloat for the present, but is not necessarily helping other organisations, particularly formerly operational groups. Future NSW government funding for the rail heritage sector is unclear and uncertain. In real terms, however, RHRS is not faring too badly. More will be said on this topic later, but better by the spoken word rather than the written word. With a bank balance of around $16,500, our RHRS finances are in good shape and are being well managed by our Treasurer Anne Wilson. The possible reduced need for our fund-raising efforts in the future is currently being considered by our management committee. Unfortunately, our membership numbers are dwindling and our efforts to recruit new members have borne little fruit, with a few exceptions where new people have joined our group. On top of this, our membership is ageing, as happens to all volunteer groups. Fortunately, we have been able to call on members and friends of RHRS outside our core-group of active members, to provide welcome assistance for special events. In short, while we are not yet struggling, we must acknowledge that the core-group of active members cannot go on forever. This will be an important item for consideration at our 2018 Annual General Meeting in September. While all is not ideal with RHRS at the present time, I believe we can still function “sensibly” and continue to manage a valuable community asset at our station precinct, at least until our AGM in September 2018 and probably well beyond then - provided that we have the inclination to continue and have the support to function satisfactorily. I say “sensibly” because we can still organise and run a reduced number of heritage train visits, the Classic Car Show in April and our Spring Event in October this year. Again, this can be reviewed at our AGM in September this year. A lot will depend on the progress by ARTC with painting our heritage-listed station buildings and the continuation of heritage train visits by THNSW. In recent months, it has been my aim to have the Robertson community understand better the role that RHRS plays within the broader community and the many challenges faced at present by RHRS. Wherever possible, their understanding and support is sought. I have done this largely through speaking with the presidents of various local community groups, including REPS, Robertson Garden Club, Robertson Men’s Shed and the CTC. I will continue in this endeavour to establish and maintain these alliances as, to some extent, it has been successful. Before our RHRS AGM in September, I will talk to each of you personally regarding how you see our future and what support you are willing and able to provide to the continuation of RHRS. The way I see it at present is that we at RHRS manage a valuable community asset, which is just as relevant to maintaining an attractive railway precinct, railway modelling and other agreed activities as is our hosting heritage train visits. Once again, this looks like being a major topic for discussion at the forthcoming AGM. I will be seeking appropriate contributions on the various aspects of RHRS to be presented succinctly at the AGM. I will prepare brief accounts on the maintenance of our grounds & gardens as well as heritage train visits. For some time, it has been well-known that the “go-to” people for reliable information on the history of Robertson have been Hope Waters and Helen Tranter. For several years, Helen has been compiling a written account on many aspects of Robertson’s history, which is stored in the locked storeroom of our Fettlers Shed Gallery. A year or so ago, a new, separate group led by Robertson resident Doug Pritchard and calling itself the History Preservation Society acted under the auspices of the Robertson CTC to gain a grant. The aim of the grant was to purchase electronic equipment to scan documents on the history of Robertson and thus preserve valuable historical documents. Recently, Doug Pritchard’s health deteriorated and he no longer has the ability or desire to continue the work originally envisaged. Further, several people who were intended to undertake this work are no longer able to do so. 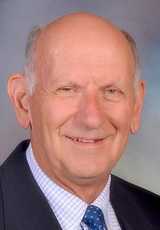 Doug then approached me, as President of RHRS, suggesting that RHRS may wish to receive the equipment, house it and use it to undertake the work envisaged. Neil Harvey and I met with Helen Tranter and we held the view that the Fettlers Shed Gallery has neither the room nor the security to house and operate the equipment. The biggest issue however is lack of suitable people to undertake the desired work. This was conveyed to Doug and to Jenny Kena, President of The Robertson Shed Inc, of which the CTC is a division. The matter was then progressed by The Robertson Shed issuing an invitation to myself, again in the capacity of RHRS President, to speak at its last meeting on Thursday, 17 May 2018 on this matter. I did so, offering whatever cooperation was possible from RHRS to their group, but stressing that the main issue is a lack of trained and willing people to undertake the envisaged work. They accepted this, but stressed to me that the main concern of their organisation was the safety and security of the information compiled and held by Helen. They reported that the possibility of “a catastrophic event” such as fire or water damage to the valuable historic records, was their sole concern and the reason why they want to scan and store separately the scanned documents. The History Preservation Society has not actually compiled any historical information and has neither the intention nor the ability to do so. This raises a matter for further consideration by RHRS, which I will initially discuss with Helen, then the RHRS management committee. I am due to report back to the next meeting of the Robertson Shed Inc on Thursday, 21 June 2018. This may be seen by some as not ‘core-business’ for RHRS but Helen’s historical documents are valuable and possibly irreplaceable - and I am interested in our making the correct decision on this matter. It is likely that further discussions with Robertson Shed people will take place. For the last year, RHRS has been an Associate Member of Transport Heritage NSW (THNSW), and paid the annual fee of $70 for such. Membership of THNSW is necessary to obtain THNSW heritage grants and would also be favourable for availing ourselves of the services which are being provided to other THNSW Associate Members, including the Goulburn and Crookwell groups and possibly others such as those at Tenterfield, Cooma and Oberon. For our $70 annual outlay, we also receive several copies of the THNSW journal Roundhouse. I believe that meetings should be arranged between appropriate officers within THNSW and RHRS to establish how our two organisations can better interact and what detailed assistance the staff of THNSW can render to RHRS. THNSW Collections Manager Jennifer Edmonds has already met on site at Robertson with Neil Harvey and myself, and, further to this, I would like to arrange meetings with the newly appointed Sector Development Officer Margot Stuart and other THNSW staff as appropriate. I will write to THNSW CEO Andrew Moritz accordingly.